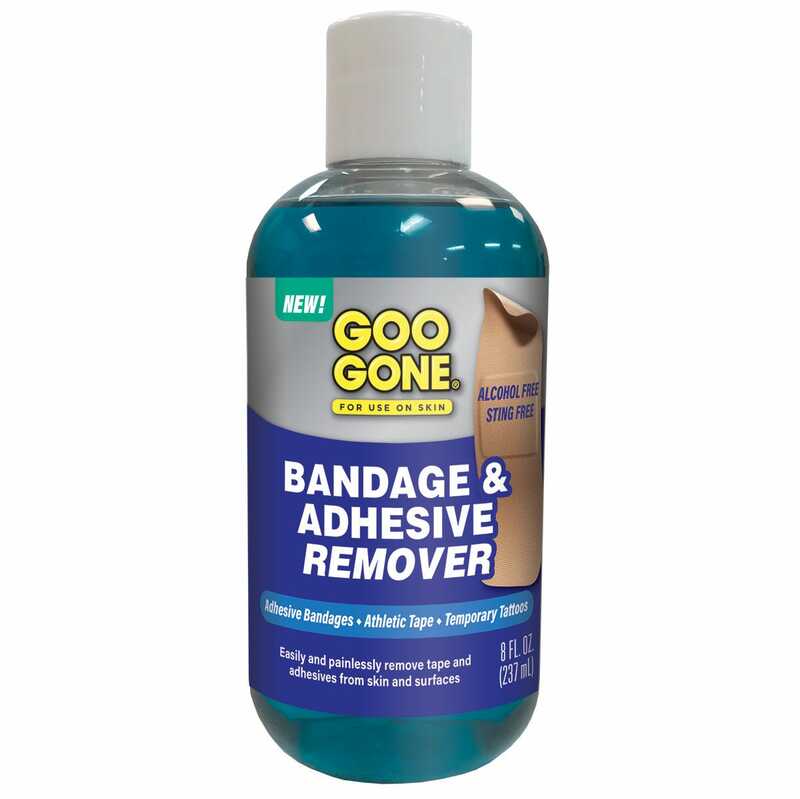 Goo Gone Bandage & Adhesive Remover is alcohol free and sting free. It makes removing bandages, medical tape, athletic tape and adhesive residue from your skin or surfaces easier. Has a pleasant citrus scent. Works on temporary tattoos, ink, body glitter/paint, wax, marker, pen, stamps and removing gum or sticky substances out of hair! To remove temporary tattoos, body glitter/paint, wax, marker, pen apply a small amount of Goo Gone Bandage & Adhesive Remover to a cotton pad and gently rub until removed. Wash area immediately following with soap and water. 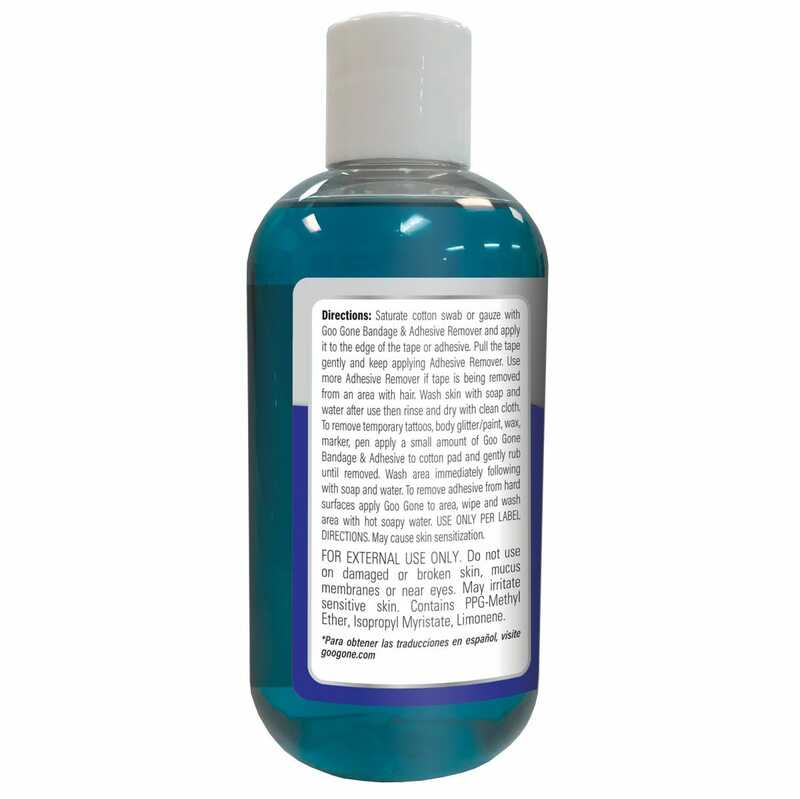 To remove adhesive from hard surfaces, apply Goo Gone to area and wipe and wash area with hot soapy water. Goo Gone for skin removes tape and adhesives completely and safely from instruments, equipment, containers and from skin. The unique formula painlessly removes tape and adhesives residue and is non-irritating.